The Long Beach Resort is a relative newcomer to Mauritius. It was designed and built around the concept of 'Italian Life', bringing together Mediterranean architecture with a large central square reminiscent of the Dolce Vita. Surrounding the square is a variety of restaurants, boutiques, and shops. Your ultimate comfort and relaxation are the priority here, enhanced by a perfect combination of beautifully blended interior and exterior spaces. Long Beach features 255 rooms housed in buildings arranged in semi-circles with an average of 109 m² of beachfront. The design creates that community feel that Italian life is known for. 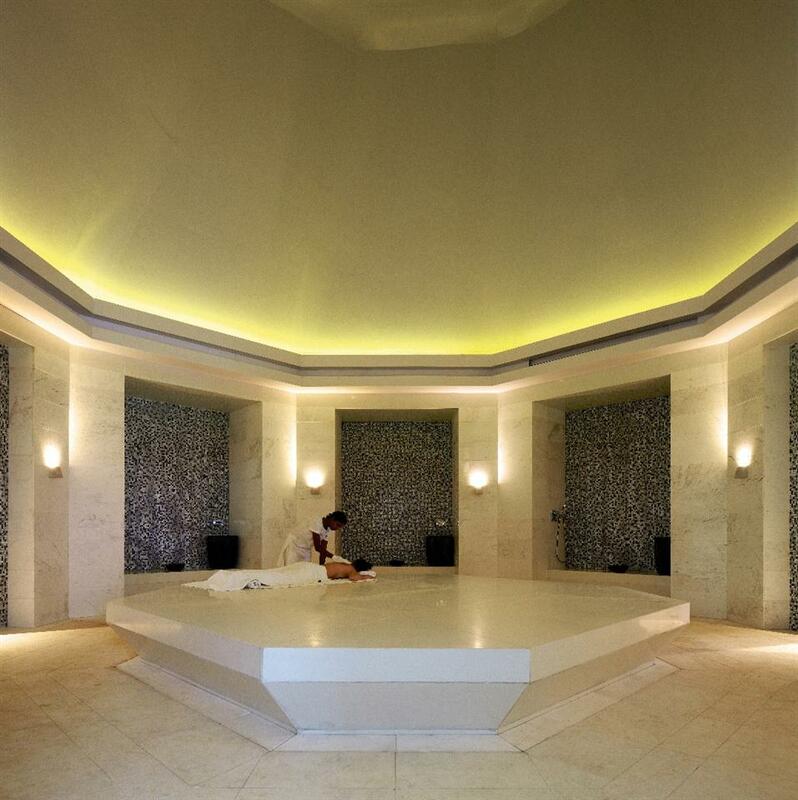 Inside, guests are treated to extra high ceilings and wide-open spaces that make rooms feel incredibly spacious; Mediterranean colours such as green, coral, and ash complete the ambience. All rooms are well apportioned with modern furnishings. Accommodation levels are as follows: Standard, Superior, Family, and Deluxe Beach Front. A standard room offers 60 m² with a view of the lush garden. 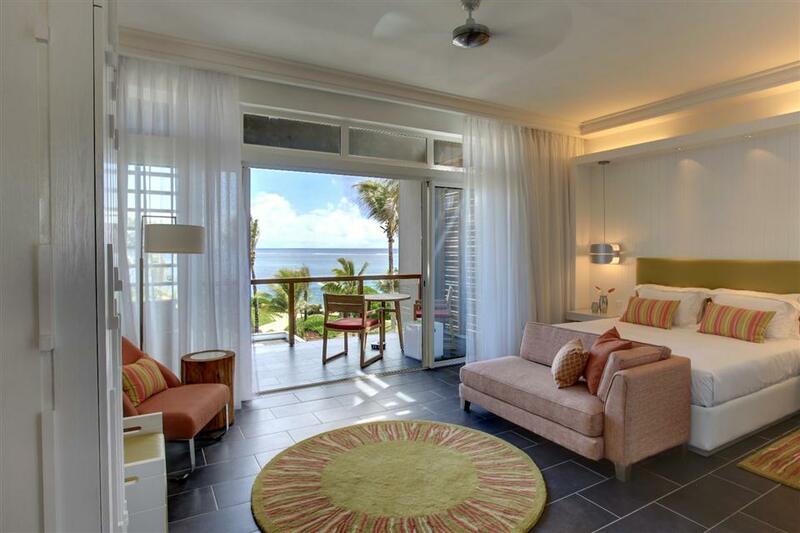 The Deluxe Beach Front Suite is a ground-floor room on the ocean, at the edge of a beautiful stream. It offers 132 m² of comfortable space. Rooms include an en suite bathroom with separate shower and deep soaking tub, free toiletries, bathrobes and slippers, fully furnished kitchen, flat screen LCD TV with satellite service, DVD player, MP3 docking station, separate bedroom for the children, blackout curtains, in-room safe, coffee and tea facilities, minibar, and balcony or terrace. •Le Marche – Although technically a buffet restaurant, Le Marche is not your typical buffet. They have created something unique with seven purposely-separated cooking stations featuring a variety of international dishes. The restaurant overlooks the ocean and offers a warm and inviting environment that promotes intimacy. An English and continental breakfast buffet is offered daily from 7.30am. •Sapori – An elegant themed restaurant featuring Italian cuisine for both lunch and dinner. 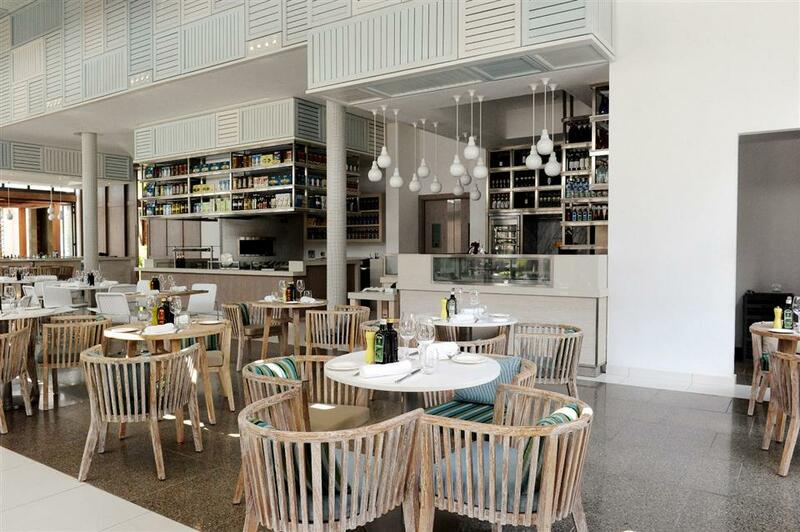 Sapori is decidedly modern with pasta, pizzas, seafood, and salads that you will not find anywhere else in Mauritius. •Hasu – Japanese cuisine is what you will find at Hasu. If you are willing to be adventurous, you can also try Japanese-Italian fusion created by world-class chefs. The ambiance is traditional Japanese; it includes both public and semi-private dining areas. •Chopsticks – Chopsticks is your Chinese-themed restaurant serving both lunch and dinner. Its warm and relaxed atmosphere will make you feel right at home while you enjoy traditional and modern Chinese cuisine created by a team of respected chefs. •Tides – Tides is a beachside restaurant serving both lunch and dinner daily. Its location between the pool and beach make it a natural focal point of the hotel throughout the day and evening. The menu consists primarily of seafood, salads, and select grills.